A nice way to describe the evolution of the asset management industry is through the march of indexing. 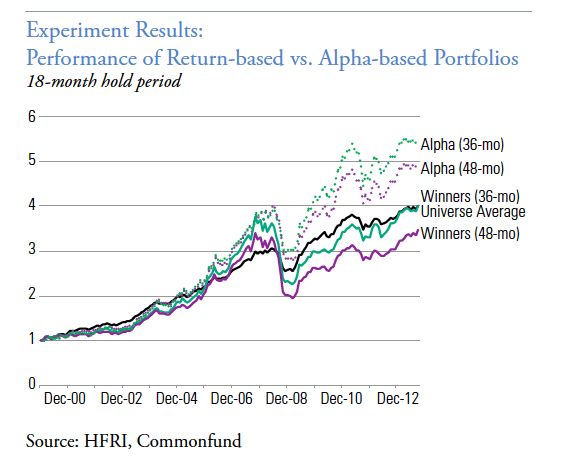 Returns can be broken into beta and alpha. 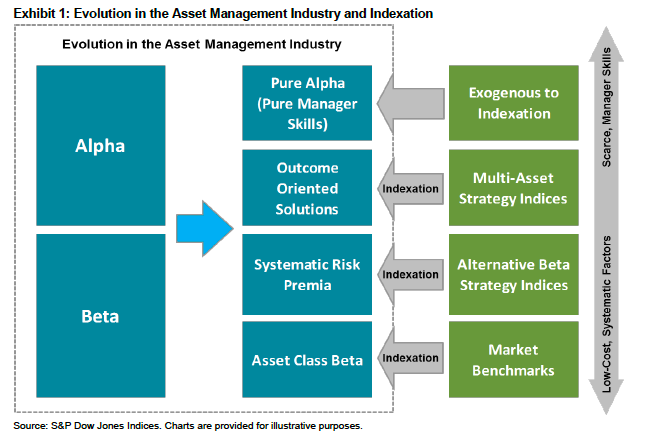 The asset management industry has been able to form low cost indices for asset class beta. The replication of beta is not hard. It has now developed alternative beta approach to capture systematic risk premia. This was creative but is now easy to replicate and produce for the masses. 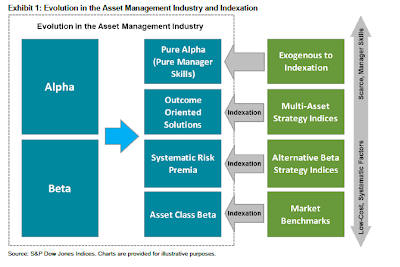 The next level of evolution has been to bundle multi-asset solutions which may be a cross between beta and alpha. Indices have been formed for these cross-ver products although this part of the industry is evolving. 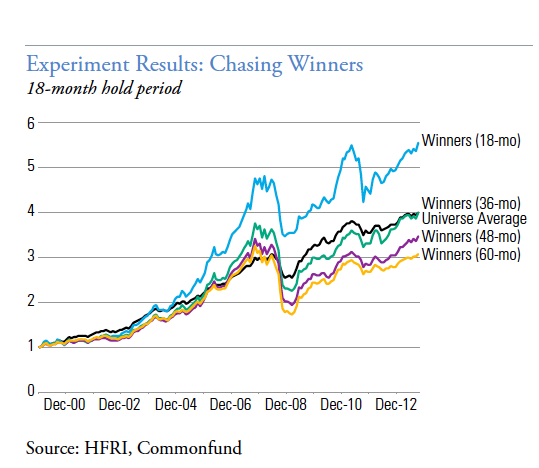 What has not been indexed has been manager skill which receives higher fees and should generate better return to risk. You cannot make generic products for manager skill. The asset management industry is not that different than other industries where generic products are priced low and mass marketed, and customize products that require more skill to produce still receive premium pricing. If you cannot distinguish skill, you will be squeezed by the generic index products. The industry evolution now requires managers to better define and communicate their skills. 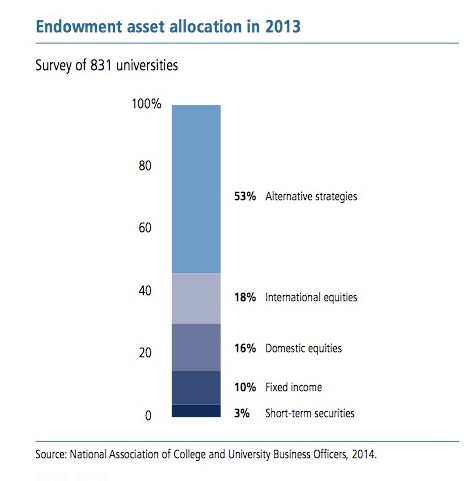 Salient Capital has written a very good white paper on the effects of diversification. 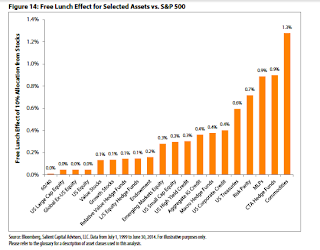 Using simple concepts from modern portfolio theory, the authors describe what they call the "free lunch effect" and make a key distinction on how risk reduction occurs in a portfolio. 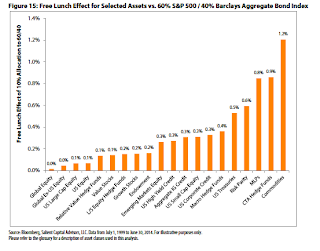 There is nothing truly new here but the presentation nicely shows the two different channels of diversification and the important impact of their free lunch effect. This effect is the gain from diversification through holding uncorrelated assets. When you add an asset to your portfolio, you actually effect volatility through two channels. One, there is a de-risking channel because volatilities are not the same. 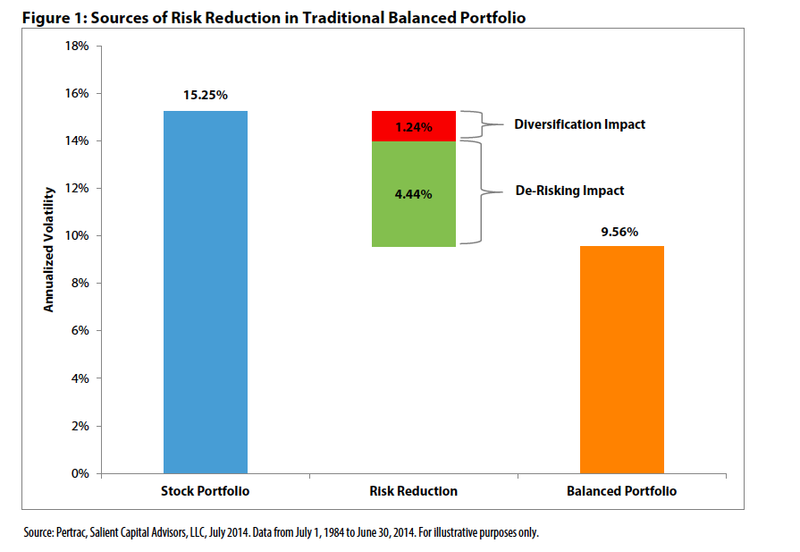 You can just reduce portfolio risk by adding assets which are less risky. That is easy. But, there is a significant cost because returns will also fall and at best be the weighted average of the returns between assets. 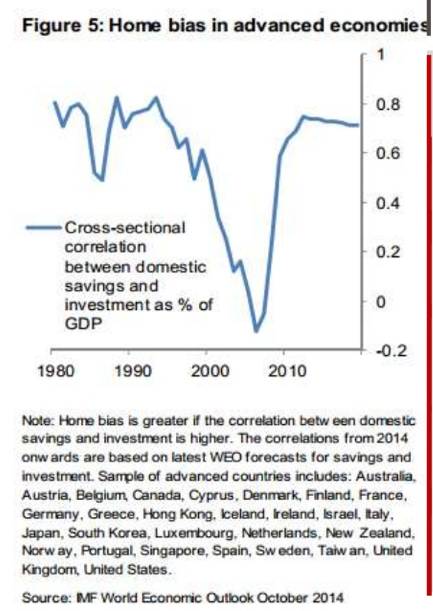 De-risking diversification by itself, when the correlation between assets is one, does not improve information ratios. It is the second channel through differences in correlation that provides investors with a real benefit. 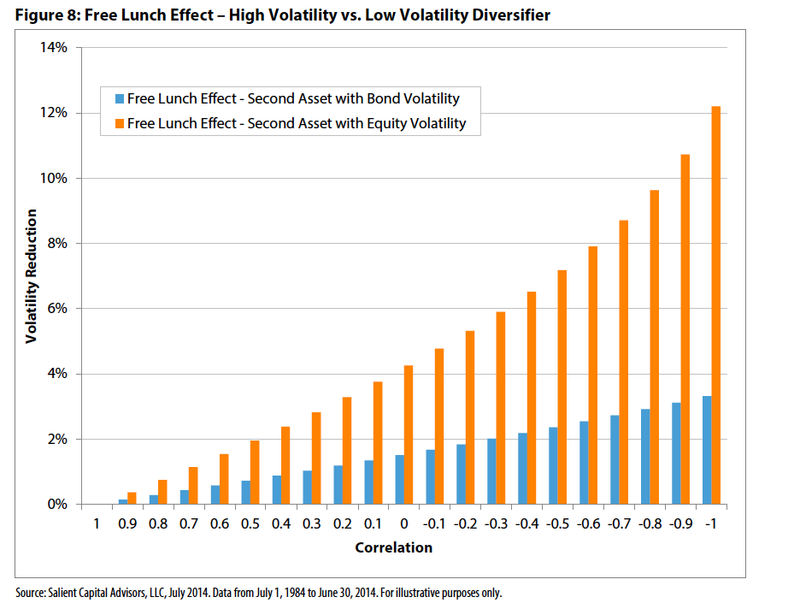 As the correlation declines, the benefit of diversification increases. This is true diversification because you can lower risk for the portfolio by more than just the weighted average of asset volatility included in the portfolio. 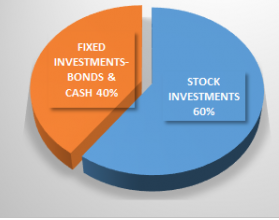 You receive a gain in the information ratio of the portfolio. The table above shows the impact of adding bonds to an equity portfolio through the simple mix of a balance 60/40 blend. 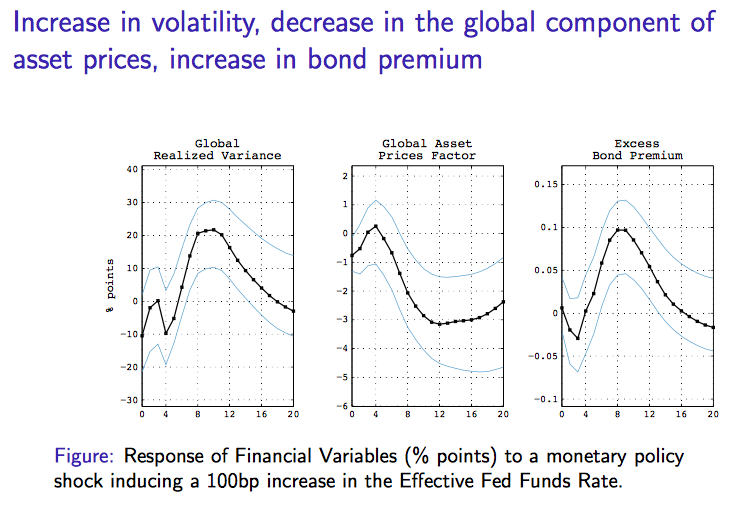 Since bonds have a lower volatility, you will get lower risk, but there is the added benefit from the fact that the two assets are not perfectly correlation. 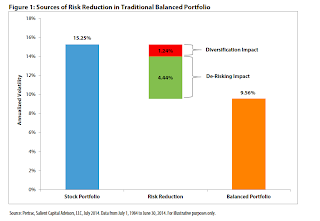 However, you can take a deeper view and see that most of the risk reduction comes from de-risking and not diversification. The lower return comes from just holding a less risky asset which had historical lower performance. If it is low correlation that provides the most portfolio benefit and not de-risking, it makes sense to hold a risky asset with corresponding higher return that will provide more bang for the buck from its low correlation. 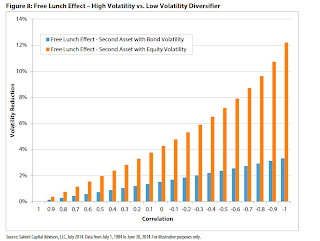 It does not make sense to hold a low correlated low risk asset. 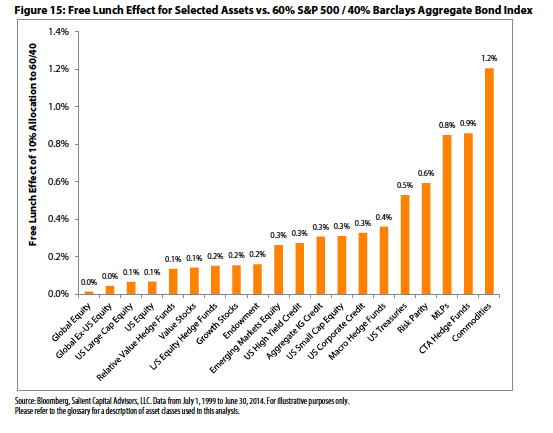 The figure below shows the added free lunch effect from holding a risky asset which is uncorrelated. This solution is all driven by the simple formula for finding the volatility of two assets. All of the action is in the correlation between the two assets. 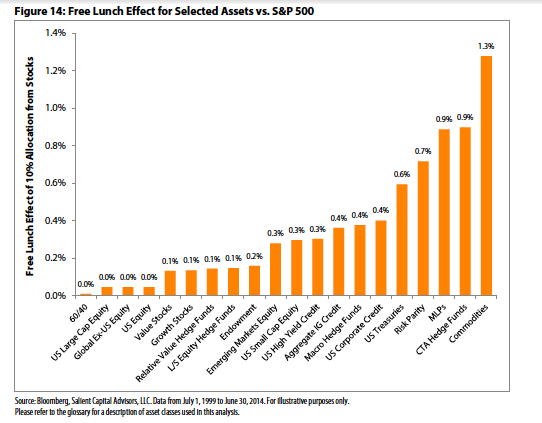 So if you want the free lunch effect, what assets should you buy? The results may surprise some. 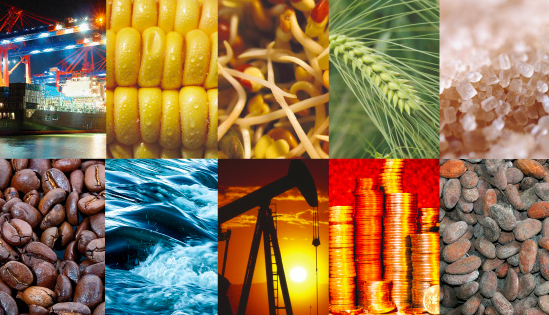 The key benefit comes from managed futures and commodities even though both are riskier assets as measured by volatility. The diversification benefit from alternative investments does not come from long/short equities but from the strategies that are fundamentally different. Investors should not be afraid of volatility if the there is more benefit from lower correlation. Does the Fed need a third mandate? The Fed has a dual mandate of managing inflation and domestic growth, but for the good of the global economy does it need a third mandate, an international liquidity mandate? 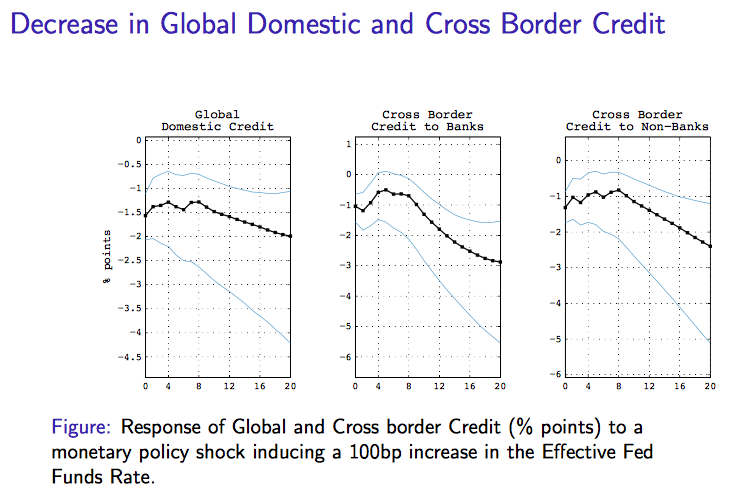 As the reserve currency of the world, the policies of the Fed impact global liquidity. Regardless of the talk of alternative reserve currencies, the dollar is not going to be replaced in the near-term. 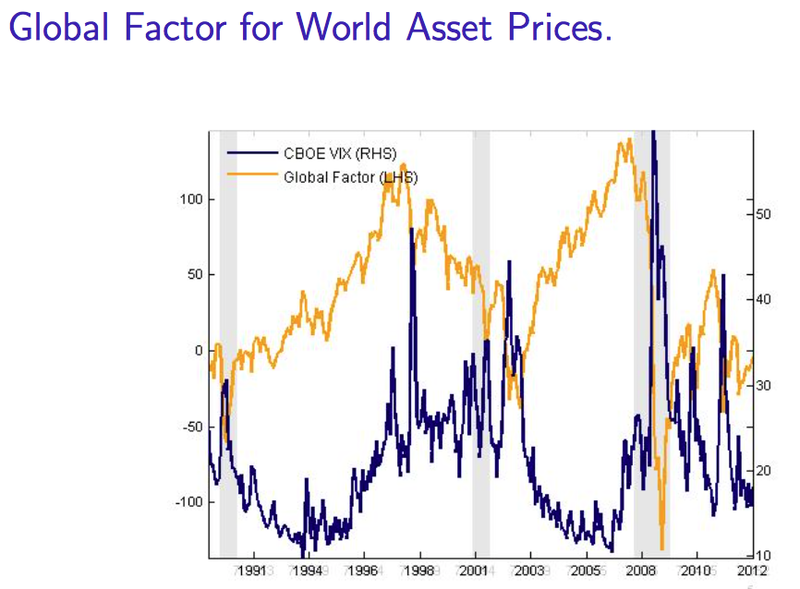 There will be changes on the margin, but more Fed liquidity means more global liquidity and a cut in US liquidity will have an adverse impact on the rest of the world. 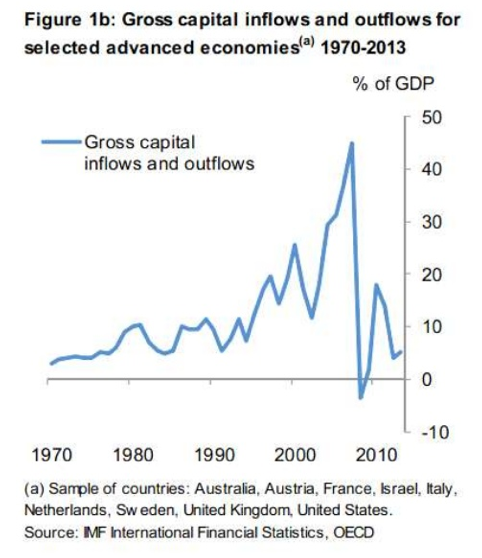 When money flows to the US, it is flowing out of somewhere else. It does not matter if it based on a search for safe assets or better investment opportunities. With US rates higher than most G10 countries, money will flow to the US. If money flows are expected to tighten in the current post-QE period, funds will flow out of risky EM investments. We have seen this in both EM stock and bond markets. If the Fed is truly interested in macro prudential policies, then it should start with its role as a global liquidity provider. This is not a new issue, but the view that EM economies would be independent Fed monetary cycles has proved to be wrong. "Benign neglect" of currencies implications by the Fed is misguided. A benign neglect Treasury strategy misplaces where the power in currency determination exists. Yet many of the financial advisors who use them are “doing it all wrong,” said Nadia Papagiannis, the Director of Alternative Investment Strategy with Goldman Sachs Asset Management, which has made a big push into liquid alternative funds. 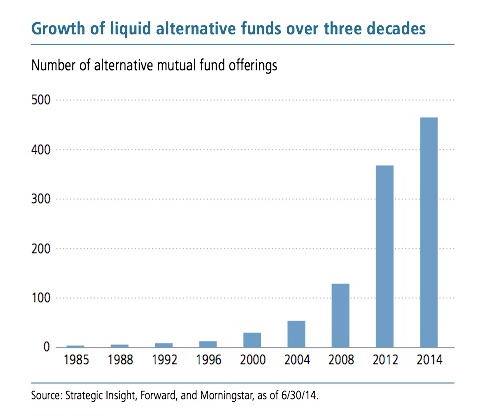 “Every survey out there shows advisors want liquid alternatives for diversification.” Yet most of the money is going into a single type of strategy: long-short equity, which seeks to provide some cushion to falling markets by shorting a select group of stocks alongside a traditional portfolio. This is a very important observation that needs to be addressed by all financial advisors. It does not make sense to diversify through just buying long/short equity managers which reduces your stock beta. It would be cheaper and more efficient to just cut the beta in your portfolio. If you pick long/short managers, it should only be done when you can get alpha cheap not less beta. 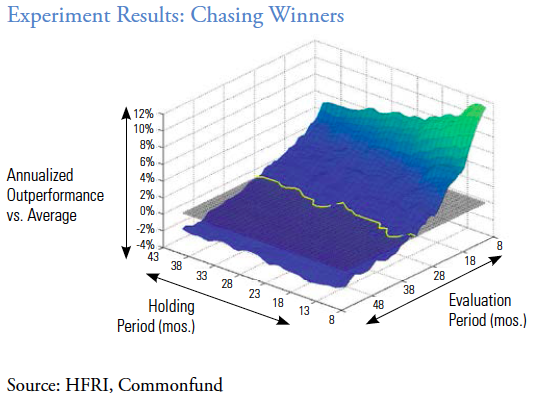 The better strategy is to hold true diversifying strategies like managed futures. Now managed futures is not always the solution. The key is trading many markets across many asset classes so you can get changing exposures beyond stocks and bonds. 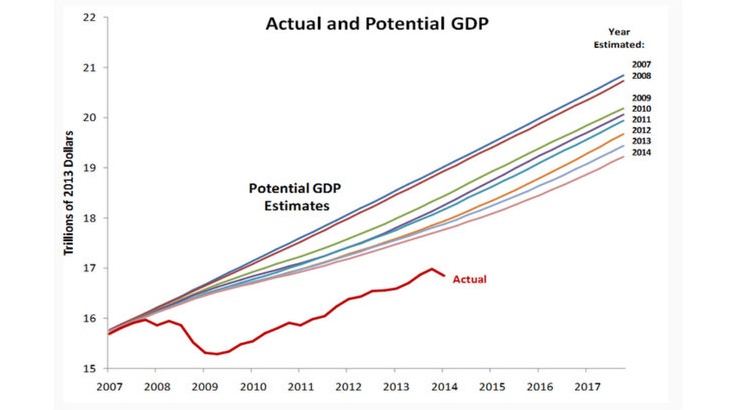 This single chart of actual versus potential GDP tells the story for why voters and consumers are not happy with the economy. They may not be able to put it into words, but this is the aggregate demand issue. Closing this one-time gap is what monetary and fiscal policy wants to do. It has not worked, or more precisely it has not caused the current trend to be draw closer to the potential trend. A close look at the data suggests that the trend is on the right path, but there has been a one time loss between the middle of 2008 and 2009. The economy has not been able to shake that loss. This loss could be the leverage problem of excessive credit expansion that will not be solved under a more regulated and controlled environment. BOJ Governor Haruhiko Kuroda, said "There's no change to our policy of trying to achieve 2 percent inflation at the earliest date possible, with a roughly two-year time horizon in mind ... There are no limits to our policy tools, including purchases of Japanese government bonds ... In order to completely overcome the chronic disease of deflation, you need to take all your medicine. Half-baked medical treatment will only worsen the symptoms." Kuroda added, "The benefits of a weak yen outweigh the costs if the yen's declines reflect economic fundamentals." These quotes are extracted from BNY Mellon. It does investors in very clear language what the BOJ is trying to do, how long it may take, what means will be used, and the fact that the process will not be done half-heartedly. Given how Japanese officials can be less than perfectly clear . This is as good as can be expected forward guidance. Nice single chart on what is happening between the trade-off of inflation and unemployment. The answer is not much from the folks at economonitor. There has been no trade-off. In fact, you could say that we are near the bulls-eye of the dual policy goals of the Fed, yet there is little talk of success. 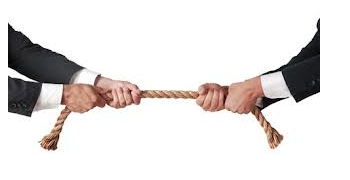 How close to do we have to be to get the Fed to raise rates? It is not clear and that is the problem. In fact, through the portfolio balance effect, the Fed may still have an important impact on the yield curve through its purchases. It will have cash from bonds that mature and this cash could be invested out the curve to affect its shape. The "Twist" component of Fed policy will still exist even if rates start to rise on the front-end of the curve. 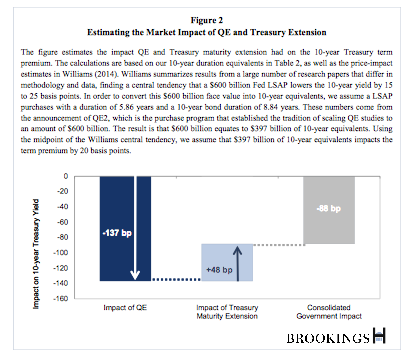 QE-lite will be a new gift or tool of the Fed which creates new bond market uncertainty. Can you have an innocent or unintended currency war? 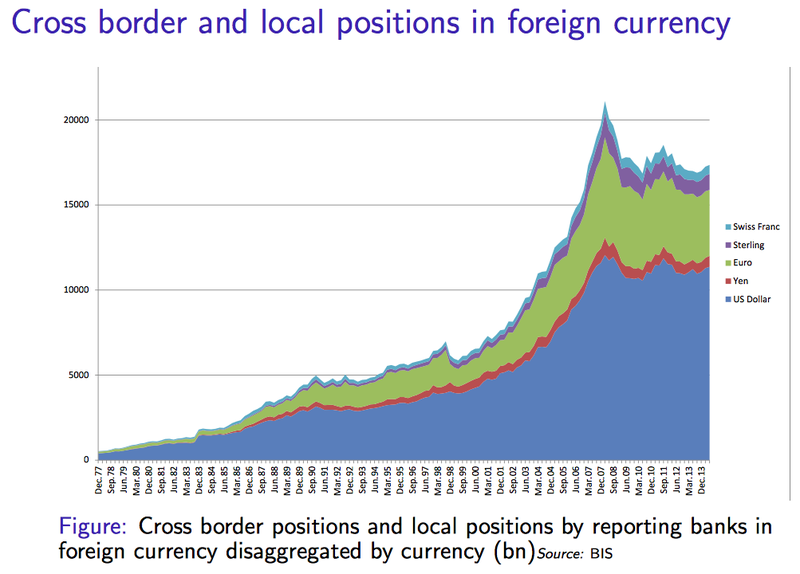 Or, is any policy that causes FX rates to decline another belligerent act in the current ongoing currency war? The BOJ has just increased its QE program to increase the money supply. The impact will be a lower Yen. We saw the market response immediately. The BOJ wants tin increase domestic inflation which will increase domestic spending. It will also make exports cheaper and imports more expensive. The BOJ is exporting its disinflation to the rest of the world. Is this an act of war with the rest of the world or just a by-product of their efforts to solve domestic problems. No one will outright admit to the exporting of deflation, but that is the result. The question is whether this action from Japan is good for the rest of the world. Regardless of whether the intention is benign, the impact is downward pressure on prices in the rest of the world. This is the current state of the post Bretton Woods environment of uncoordinated policies. Now this is an example of real economic policy put in practice through the votes. At the end of this month, the Swiss will have a "Save Our Swiss Gold" referendum to determine whether the Swiss central bank will be required to hold a fixed percentage of gold to back reserves. The Swiss monetary reserves, about $550 billion, would have to be backed by 20% in gold. It now holds about 7.7% in gold, so there would have to be a massive buying program to bring back gold into Switzerland or a significant cut in reserves. This new policy would do the exact opposite of what the SNB has been trying to do with its money supply and currency.The central bank has been attempting to reduce the upward march of the the Swiss franc which has hurt the Swiss export business. Right now the Swiss franc is working under a floor of 1.20 euros, so the exchange rate has not been very volatile given the constraint has been binding. This floor has caused significant selling of francs. This passage of this vote is real and has not been the focus of the market. We will all hear more about gold, money and exchange rates in the next four weeks. Looking just at G10 countries tells an interesting disinflation story. 9/10 countries are below their inflation targets. 9/10 have QOQ inflation numbers falling. 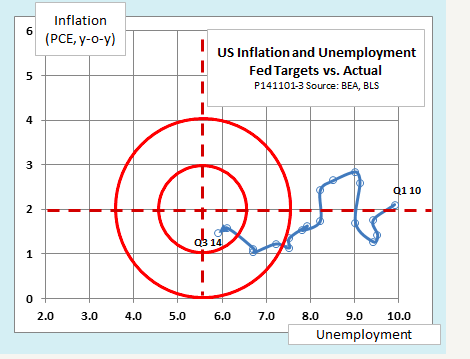 Inflation is moving away from targets and not toward the targets. This sample is biased by Europe but the number are clearly in one direction. Disinflation is a global phenomena. This makes for a bond market that can continue to rise. Firms will have limited pricing power so profits should fall and revenues decline based on delayed spending. It is unlikely that the Fed will raise rates in this environment. It requires more not less action by the ECB. The latest buzz in macroeconomics is what I will call the Summers Critique of Debt and Monetary Policy. It can be found in Government Debt Management at the Zero Lower Bound from the Huchin Center at Brookings. The argument by Summers and his co-authors is simple. The Treasury has been issuing more debt and have extended its average maturity in order to take advantage of the low interest rates in the debt markets. Finance government at long-term at low rates. Of course, this new supply could force up interest rates. This is up for debate but depending on your view of yield curve and flow of fund dynamics. The Fed at the same time has been buying up long maturity debt in order to push down rates. The action of the Treasury could actually be offsetting some the work that has been done by the Fed to bring down long rates. It is an empirical question but there is a chance they are working at cross purposes. The Treasury debate increase on the long end of the curve is about 70% from debt increases and 30% from lengthening outstanding debt. The Treasury has been managing debt without thinking about monetary policy and the Fed has been thinking about managing long rates without accounting for debt management activity. Their independence is placing debt and monetary policies at odds. These choices place the economy at risk because there is duration risk with financing options. The Summers argument is that the Treasury should be financing with short rates where rates are zero instead of putting upward pressure on long rates. There may be a shortage of the safe asset so borrow at the lowest financing costs now and worry about the future tomorrow. 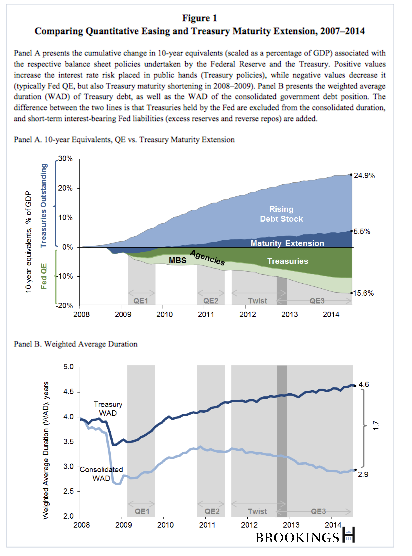 While the offset has not been one for one, the authors believe that the Treasury debt management has been a drag on Fed effectiveness. This management issue may become all the more important with the end of QE. The unwinding should be coordinated with the Treasury department. Monetary policy is not different than any other good or service. There is a law of diminishing marginal utility or efficiency. As more money through reserves is pushed into the economy, the marginal impact of that dollar declines. The first QE period had a significant economic effect because a lot of liquidity was needed immediately. Each subsequent QE has had less impact on markets, albeit the equity markets do not seem to follow this rule. Excess reserves have increased because the amount of lending relative to total reserves is less. Banks do not know what to do with the excess relative to the amount of effective loan projects available. The money multiplier has remained low. This has led to a lower chance of inflation. There is still a zero bound problem, but there is also a simpler problem that extra money is not needed to increase aggregate demand Put differently in simple microeconomic terms, any marginal increase in money will have limited impact. This is a good reason for halting QE in the US; however, it also means that other policy initiatives will have to be employed if monetary policy is to be effective. This is one of the reason for the emphasis on forward guidance and the desire by the Fed to control expectations. Pushing more supply may not be effective. The reason why I use trend-following as core strategy is simple. I believe that prices and trends tell me something about the macro economy in a way that looking at fundamental data about the economy do not. I review fundamentals, but there is a lot of noise in this data. There is noise in prices, but prices are primal to determining return. There is no ambiguity about what the data are saying when I am long a market and prices are trending lower. This is price efficiency in a very real sense. The trend is efficiently telling me that I am wrong. I read the newspapers and research but there often is no clear consensus on what the data are saying and how it should be interpreted. I listen to central bankers and cannot say there is a clear message that can always determine the direction in price. I hear the stories about a market, say oil, and cannot determine whether the price decline is driven by declining demand or increasing supply. It is hard to weight these alternatives. Knowing and understanding market behavior is critical, but money management is often about engineering and getting the performance problem right. I do currently know that the consensus of buying power is for higher equity prices. I look at the trend. I do know that oil prices are out of equilibrium because prices are trending lower. Price trends have lower ambiguity than data because data are one step removed from return generation. Fundamentals and risk factors change and may tell me something about what may happen in the future, but if I follow a base case that trends will continue, I will likely have a performance tailwind to help. The post-80's period of central banking was all about creating creditability as inflation fighters and breaking inflation expectations. Central banks were only able to tame inflation when they were able to convince investors that they they could control inflation at set targets. The wave of inflation targeting and central bank transparency was all an effort to increase creditability. Central banks were successful at changing expectations and inflation was maintained close to target levels. It was expected that higher inflation would be met by tighter policies and targets would be maintained. Even the Fed which has a dual mandate was able to increase their creditability substantially as inflation fighters. The taming of expectations was won. Central banks may have done too good a job. Now central banks want to be known as deflation fighters who can raise inflation and hit targets from below. This adjustment in their creditability to inflation creators has been slow. 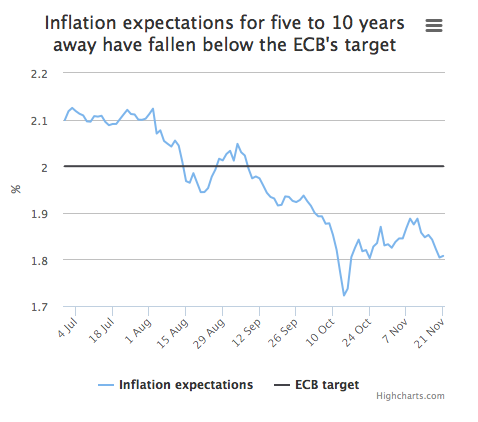 Inflation expectations over the long-run have been close to targets but there has been a wariness that central banks do not have the tools or resolve to rid economies of deflation fears. The forward guidance has been ambiguous concurring their resolve to get inflation higher by the Fed. The resolve is also being questioned in Europe regardless of comments by the ECB president. Perhaps the announcement by the BOJ to following QE will do the trick. The market reaction on Friday seems to be tiled to the belief that the BOJ has turned the corner and is willing to go to extraordinary length to get inflation higher.